For a musician, the idea of exploring the various channels in which to communicate and express oneself is an endlessly enticing prospect. It is one that falls central to the seductive power of the art form. If you have ever wondered what it is like to create a score for film then maybe the person to discuss this with is someone who is actually doing it. That’s what we thought. 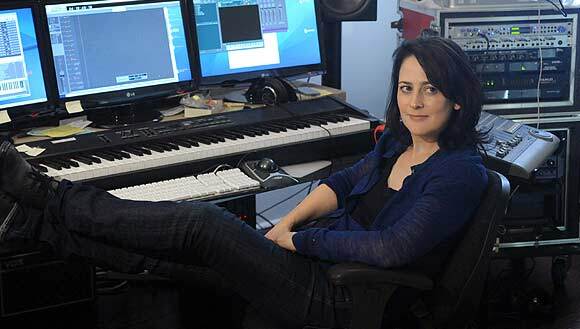 With that in mind, we sat down with composer Lesley Barber, who has created the towering and imperious soundtrack to the awards-hungry Manchester By The Sea, directed by Kenneth ‘Kenny’ Lonergan, which is in cinemas now. Music is so prominent in this film, it is almost a character in itself. Without the stately strings, stirring acapellas and poignant piano, this film wouldn’t be quite as powerful. Lesley was kind enough to walk us through her processes and provides tips for anyone who may wish to get into the film soundtrack industry. Read on for her expert insight. When you read a script, how do you begin to envisage the music? How do you approach it? Quite often, you get together with a filmmaker to discuss their work and you’re looking for stuff. You’re looking for all the things unspoken between the lines of dialogue. At the beginning, it’s kind of a puzzle. You’re looking at what’s at stake, what the characters are longing for and then trying to take the filmmaking to a new level and a new perspective. It’s wonderful when you can create something with counterpoint, like in this film. It is quite a collaborative process then? Very, very collaborative. Part by intuition and part by design by both of us (in Manchester By The Sea). When you first get together and you talk about the film and what’s going, you’re using language, but as a composer, you take all of that information and emotional language that you’ve been talking about and somehow come up with a piece of music that is structured and brings something new to the storytelling. It is collaborative and with Kenny and me, especially so in that we exchange materials and I send him music. We get together in the editing room and try out different things in different places. We really wait until we feel that the music is the right music before we expand the score. Getting the things right is always a particularly fun part of the process with Kenny. He really hears the music in the music and there is nowhere to hide with his particular style of filmmaking. If there’s a cello solo or part of the vocal singing that doesn’t feel completely right or truthful or honest, we both hear it and take the time to re-record and get it right. That is so satisfying. With some other filmmakers, it’s more of a rushed process and it’s inn a more conventional narrative style. This is a different process. 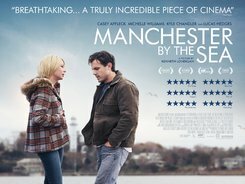 The music is quite spare in Manchester By The Sea. What sort of thoughts did you have about instrumentation? We both wanted to have some restraint to the score. I wanted to compose music that also took into consideration some of the classical pieces and those standards and would build, unify and thematically tie the music together as one score. That was in the back of my mind when I was choosing the instrumentation. I understand that you started out doing music for theatre. Was it always an intention of yours to go into film soundtracks? I was studying a Master’s degree in music in my early twenties and I needed to support myself. I was working for a theatre company and they heard my music. I was supporting myself as a composer when I was 22, 23 in theatre and what I really enjoyed about it was the collaboration and storytelling. I was someone who went to a lot of theatre and was excited by it. And films. Suddenly, I really found this niche that really felt right. People from other types of productions started asking me to score their work and that included films. It was sort of a natural progression and I guess I didn’t think that much about it. I just thoroughly enjoyed what I was doing. Do you have any advice for budding musicians who want to get into this kind of work? It’s all about story. It’s about learning how to communicate and be a dramatist. That’s what film composing is: it is storytelling. On top of that, of course, it’s learning as much as you can about the process, the production, the scoring, the notation and communication with the people with whom you’re collaborating. 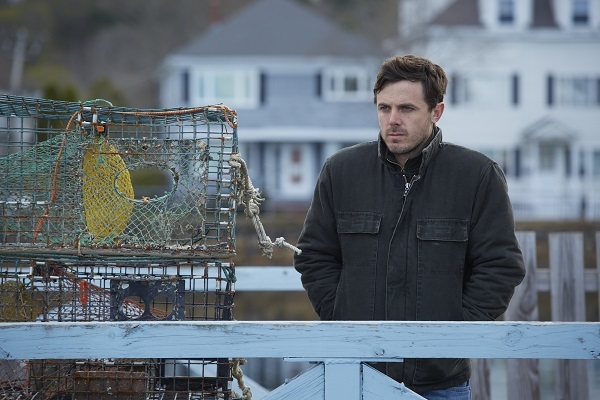 Manchester By The Sea is in cinemas from 13th January 2017.